Dominica is a natural paradise. It is lush and a breath of fresh air. Known as “The Nature Island,” Dominica’s tropical rainforests cover two thirds of the island, and are home to 1,200 plant species. There are hiking trails for all ages, emerald pools, bubbling waters, and as many rivers as there are days of the week. I recently spent six magical days in Dominica exploring the best that the country has to offer. This itinerary will bring you back to nature and make you drunk with happiness. – Transfer to Rosalie Bay Resort – Rosalie Bay Resort is an eco-boutique and wellness resort inspired by nature. It is only a short drive from both Sari Sari Falls and Emerald Pool. – Dinner at hotel – Dominica has an abundance of fresh fish. It’s an excellent choice for dinner. There are a couple options for your arrival. You can choose to rent a car and drive on your own or you can hire a driver. I would recommend having a car during the trip because the hikes are spread out across the entire island. 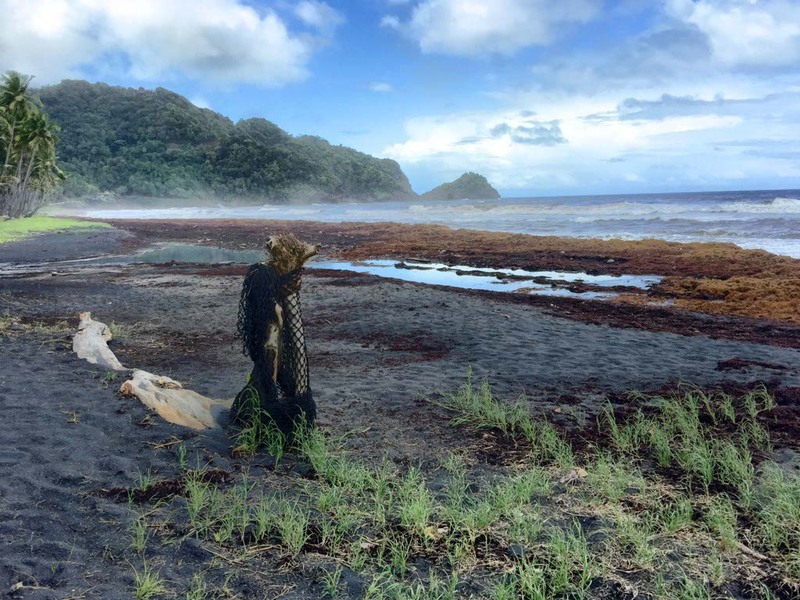 Relying on a hotel would limit your island experience. Jenner Robinson at Jenn Tours is a good choice regardless if you just want to rent a car or if you want a guide for your entire trip. 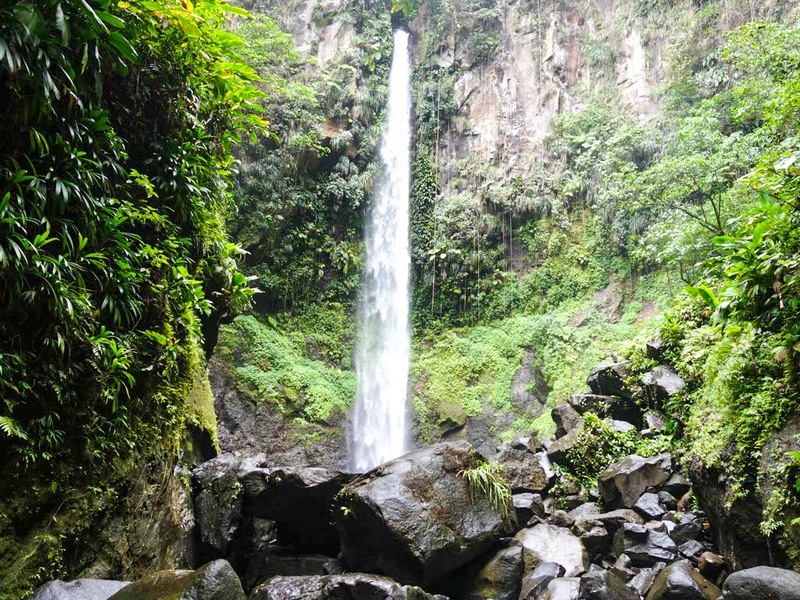 – Begin hike to Sari Sari Falls – Sari Sari Falls is an intermediate hike with river crossings and steep inclines. It takes about 1.5 hours round trip. It is possible to hike Sari Sari Falls without a guide. I’d recommend if you’re traveling with children that they are at least 5 years of age. – Visit to Emerald Pool – This wonderful waterfall grotto is located in the UNESCO World Heritage Site of Morne Trois Piton National Park. An easy 30-minute hike takes you through magnificent overhanging trees and lush vegetation to the shimmering pool, which appears green in the tree-filtered sunlight. – Transfer to Champagne Reef for a Snorkel Tour– Champagne Reef Dive & Snorkel is Dominica’s premier adventure tour company. They are located at the world famous Champagne Reef. Diving and Snorkelling are their signature adventures but they also offer land based tours. 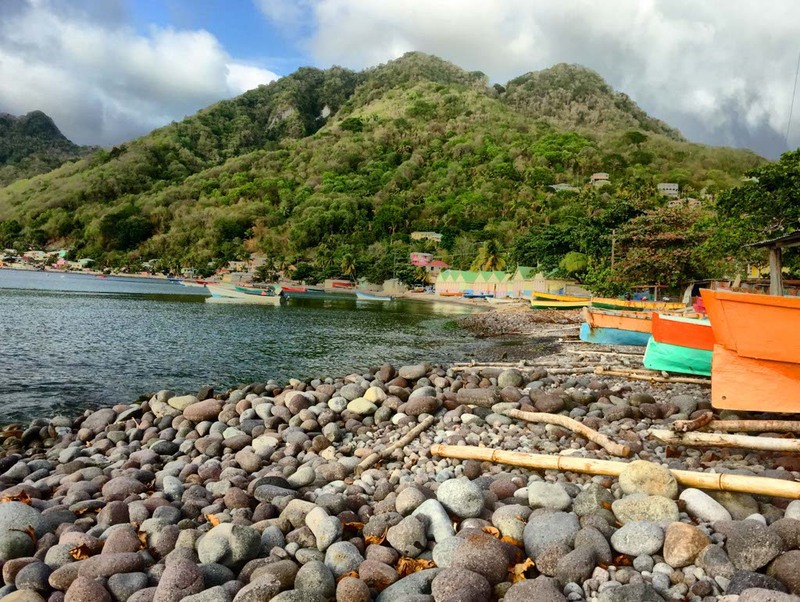 – Transfer to Scotts Head Peninsula – Scotts Head is a small fishing village located on the southern tip of the island of Dominica, overlooking Soufriere Bay. A peninsula located west of the village is called Scotts Head Peninsula and is the meeting point of the Atlantic ocean and the Caribbean Sea. – Dinner at Evergreen Hotel – The menu is refreshed daily and blends international & creole cuisine. This is a busy first day but I’ve tested it and it is all possible. Start the hike to Sari Sari Falls early and don’t pass on Emerald Pool. It is one of the most stunning views in the entire country. – Visit to Trafalgar Falls – The twin falls are an easy 20 minute walk to the viewing platform. You can continue on and climb over rocks and swim in the smaller of the falls. – Visit to Titou Gorge – The hike through Titou Gorge is actually a short swim from the base of a waterfall through a series of natural “rooms and ponds” formed by high cliff walls. – Lunch at Romance Café – Romance Cafe proudly serves their take on French cuisine. The style of the restaurant and its dishes is beach casual. – Flyboarding or jet skiing activity at Nature Island Adventure Tours – Exciting ATV and Dune Buggy Tours as well as Flyboarding and jet-skiing are offered by Nature Island Adventure Tours. – Check in to Fort Young – Fort Young’s oceanfront location is at the heart of the island’s historic capital, Roseau. For scuba divers, Fort Young has their own fully equipped dive shop and a jetty where the boats come to pick you up, whether you are diving, snorkeling or heading off into the bay to go whale watching. 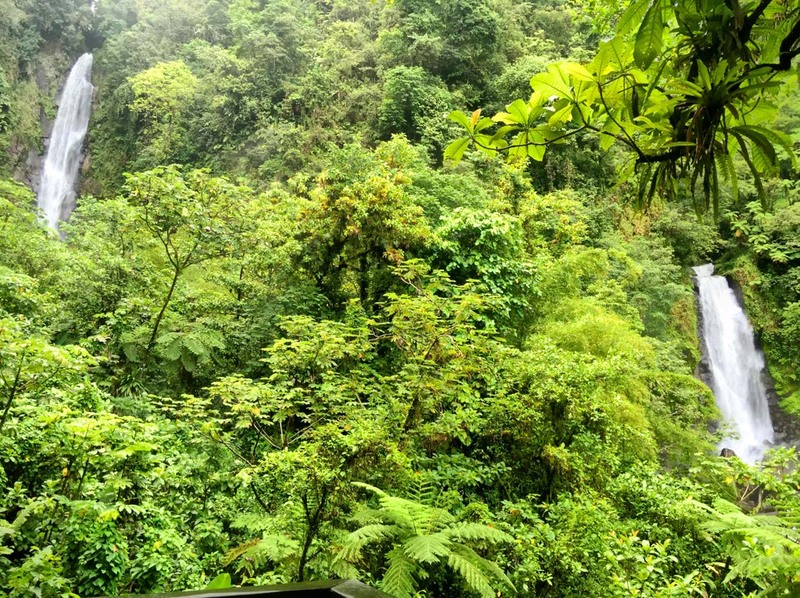 Hikers can arrange a wide variety of excursions in close proximity to the hotel such as treks to waterfalls in the rainforest and bird watching trips from our hotel’s own activities desk. – Dinner at Palisades Restaurant at Fort Young Hotel – Palisades combines the finest of local cuisine with the latest twists on international classics in a fusion of traditional and contemporary flavors. The services is fantastic and the view is spectacular. 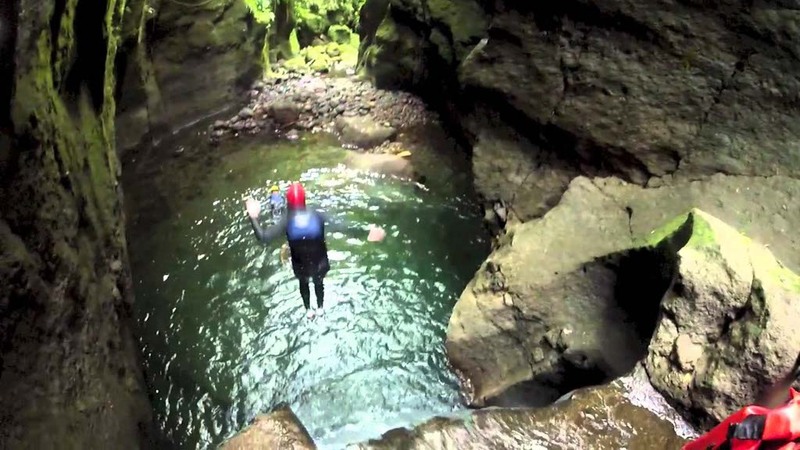 – Transfer to Extreme Dominica for Canyoning – Canyoning in Dominica offers a great way to explore the hidden depths of this magical island, while at the same time, enjoying the fun and adventure of this great water-sport. – Begin Segment 10, Waitukubuli National Trail – The Trail opens up and showcases the best of Dominica – culture/heritage, local lifestyles, and our island’s rugged terrain and wild nature – rivers, waterfalls, mountains, exotic gorges and rainforests. – Dive Dominica for whale watching – Dominica enjoys whales and dolphins all year round. Sperm whales breed in the waters and sightings are common. Dive Dominica often meets huge pods of dolphins leaping out of the water and swimming alongside boat. This extensive itinerary was developed by Dominica Tourism, and tested by me, as an example of the best the island has to offer. 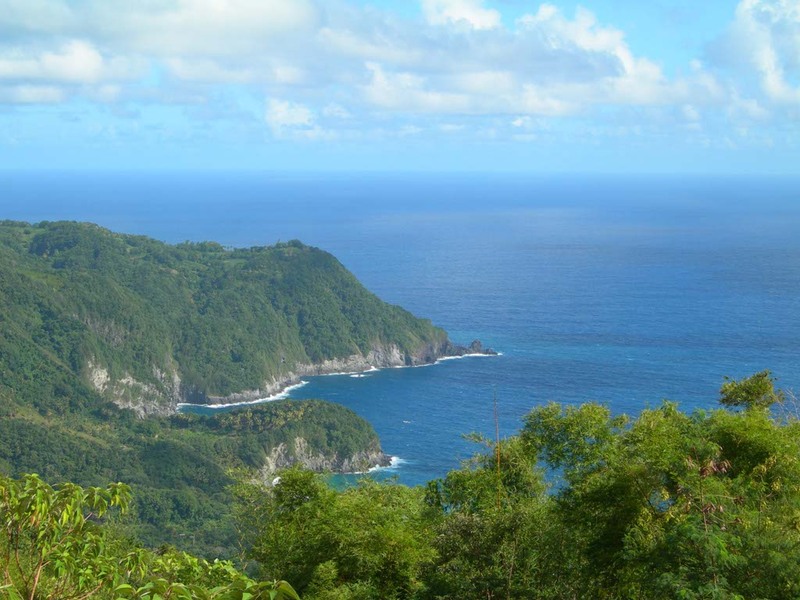 It’s busy and full but allows you to really take in the natural beauty of Dominica. Hikes like Sari Sari Falls will challenge you, adventures like flyboarding will get your adrenaline pumping and views like Scotts Head Peninsula will mesmerize you. Dominica is a hidden gem in the Caribbean. This is a wonderful itinerary! It’s great to know that it’s possible to experience so many hikes in only six days. I really appreciated the tip about renting a car while you’re on the island– I’ll definitely have to keep that in mind if I ever visit Dominica! Leslie how can i contact you by facebook messenger? thanks! im going to dominica this is wonderful! Thanks for the post! This was really helpful when I was planning for our week in Dominica. What a gorgeous island and a great itinerary! I’ve since written a few blog posts on this amazing island ☺. Thanks again!